Travelling in Himachal does not imply that it is only places like Shimla and Manali that can be explored. Providing a panoramic view of five hills including Balun and Tehra, Dalhousie has become a popular travel destination for the tourists in the recent times. 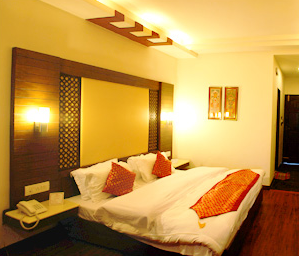 Hotel Mount View ensures that the stay experience of the guests is as luxurious as possible. It has individual designed suites and grand rooms for the guests to choose from. Its Luxury Suite is centrally air conditioned, with amenities such as an HD/LED/LCD/Satellite TV, minibar and a cubical shower, while its Premier Room includes a one room accommodation with a TV, study table and sitting area. From a gym to a playground for your kids, from fine restaurants to an open air discotheque, from letting you taste the local culture through Folk Singer Evenings to letting you replenish your mind and soul through its rich Anandam Spa, Hotel Mount View takes care of all your wants and desires. It has all the modern day facilities such as rooms to conduct conferences, endless In-Room facilities, free Wifi and landscaped gardens which bring you a homely yet luxurious stay right at your feet. Hotel Mount View brings to you the enthralling and alluring beauty of the hills right to your room. With well-designed suites and rooms, Hotel Mount View lets you rejuvenate your soul every morning through either the majestic views of the mountains, or the lush green lawns. Some of its room also faces the flowerbeds, with its providing a 180 degree overlook of Dalhousie. 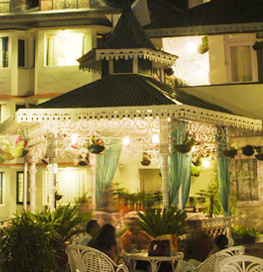 Hotel Mount View was established in 1895 and since then it has remained a top stay preference by many. 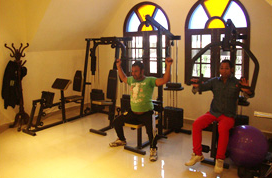 People belonging to various places across the globe have chosen Hotel Mount View for staying over and over again. From hosting the Maharajas to eminent personalities to officials from high ranks, Hotel Mount View has remained one of the most wanted accommodations for people who travel to Dalhousie. Hotel Mount View has been successful in maintaining its distinctive style in the ever-changing world. It brings to its guest the mixture of the old and the new, providing modern day facilities as well as maintaining its old, colonial aged charm. While its building exhibits the Victorian style, it provides modern day facilities such as a library and a theater where one can enjoy various English and Bollywood movies with one’s family and friends. It has a Games room for the lovers of indoor games and comes with a gym as well! Your feedback is valuable for us. Your email or number will not be published.